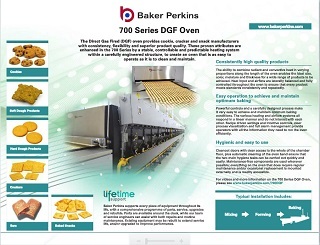 Direct Gas Fired (DGF) ovens offer great flexibility in their baking characteristics. The heat comes from ribbon burners mounted above and below the band assisted by an air circulation (turbulence) system. 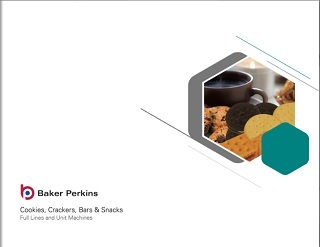 It can handle a full selection of products, from hard crackers to very soft cookies. 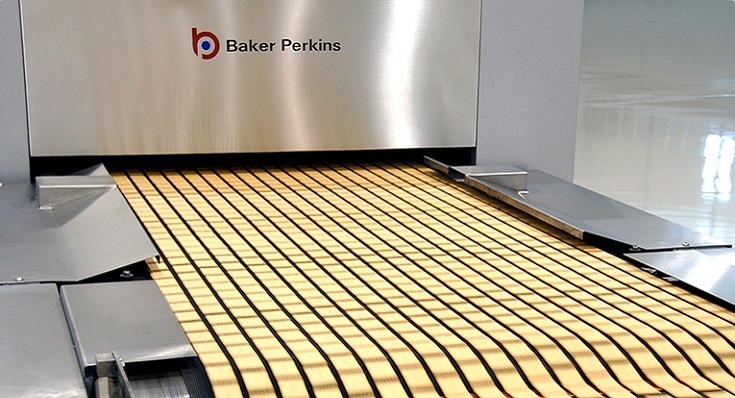 DGF ovens are selected by biscuit manufacturers around the world for excellent baking, flexibility and ease of operation. The 700 Series has the ability to combine radiant and convective heat in varying proportions along the length of the oven. This enables the ideal size, colour, moisture and thickness of product to be consistently achieved. There is no interaction between extraction and turbulence systems. Also, the heat input and airflow are laterally balanced. These features make control of the oven completely predictable and provide the flexibility to achieve the required product characteristics. 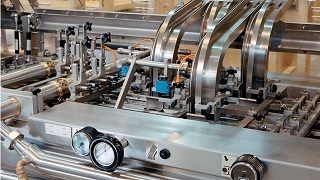 PLC control with full recipe management ensures fast and repeatable set-up with minimum waste. 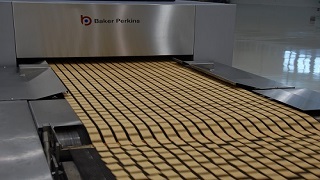 The oven has been designed with the aid of sophisticated computer modelling systems to ensure that airflow is managed in an efficient and predictable way. The burners, extraction system and turbulence system operate together to give accurate and predictable control, with no edge burning effects. 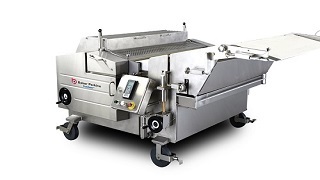 This ensures high product quality and minimal waste. 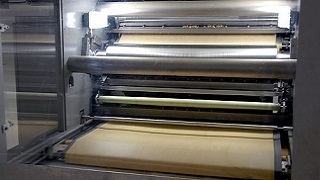 Heating and airflow all respond in a linear manner making it easy to achieve and maintain optimum baking conditions. 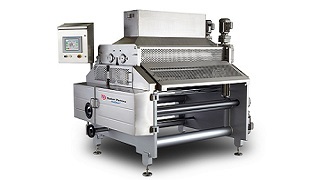 A touch-screen with intuitive controls and clear display of the process provides operators with all the information needed to run the oven efficiently. There is also recipe-control and full alarm management. Visibility of the burners simplifies understanding of the process and facilitates control. Control options extend from a PLC with a touch-screen operator interface to a full SCADA system. Components that are reliable and maintenance-free are used wherever possible. Routine servicing is mainly for safety reasons. 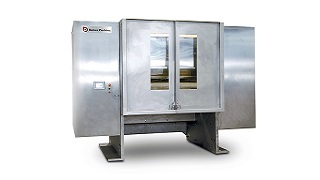 Large doors give full access to the whole of the chamber floor making cleaning rapid and easy. The band is cleaned by a set of brushes mounted underneath the oven. Parts that require maintenance or replacement are external and easy to reach. 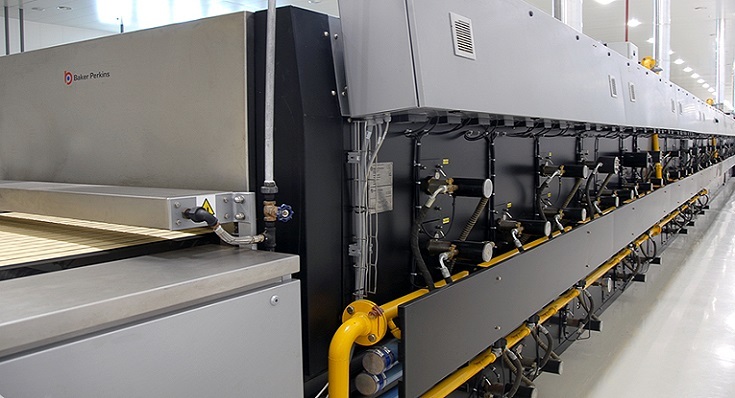 Burner cleaning and maintenance can be carried out during operation.